An activist attorney who worked with Ralph Nader in the fight for mandatory airbags; when and why did you decide to start your own label? I had worked with Ralph for years on many social issues such as getting mandatory seatbelt laws passed and working to get airbags in cars and environmental issues. I also worked with Michael Moore in Flint, MI. on issues of corporations and communities. But I always believed in the power of art to express the need for social change. I decided to start label after I went to Belfast in 1997, where I saw kids grow up in a war zone -- and music was the bridge between Catholic and Protestant children. I wanted to release music that could do the same in the States. Music that was used for hope and healing and to build bridges, not walls, between people. Was there a point in time, or a specific release, that you realized Appleseed was going to fly? I started off working with Pete Seeger who was a close friend. I wanted to do an album featuring the songs of Pete Seeger and I got Bruce Springsteen, Bonnie Raitt, Jackson Browne and Tim Robbins to each do a song on the CD. I basically started off with that strong album to introduce us to the market and get out there. Still, I was very surprised at how it really took off and resonated with a lot of people, Pete’s music is universal – “Where Have All the Flowers Gone” and “Turn Turn Turn,” for example –, but the artists did songs with new arrangements. Bruce did “We Shall Overcome” and changed it around as if it’s a fresh coat of paint … and it resonated with the world. It was used for hope and healing around the world including after 9/11 by NBC News in a video. We ended up doing a trilogy of the “Songs of Pete Seeger” with over 80 songs done by 58 artists. Did you always plan on recruiting established artists, or did you also look for new talent from the get-go? I had a wish list of certain artists I really respect -- Donovan and Roger McGuinn, for example, who the major labels had given up on – but I also looked for new music that spoke with heart and passion. We discovered Tim Eriksen, whose music was used in movies such as “Cold Mountain. If the artists’ music spoke to the heart and soul and also had a positive message of social change, hope or healing, I’ll sign them. I always gave artists full creative control on every release ... and we’ve now released over 160 CDs on the label, and 24 of those artists are already in the Rock & Roll Hall of Fame and we have won numerous Grammy Awards over the years. Folk music hasn’t been in vogue for decades. How have you adopted your marketing and promotion strategy to generate interest and business? We’ve done things like gone to museums to sell our CDs. We’ve put out songs about the Underground Railroad from Kim and Reggie Harris that have resonated with educators and with young people who study the underground railroad. We like to tie into different historical events things like that. We also do advertising to get radio airplay for specific releases and we help our artists when they’re out on the road. Like any new label, you must have faced challenges to stay alive. How were you able to keep going? 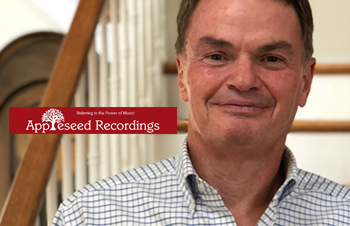 The label got a second wind when Bruce Springsteen released his Seeger sessions album, which contained “We Shall Overcome,” that was on our Seeger tribute. That and our 10th anniversary collection raised our profile and enabled us to bring in artists such as Tom Rush and David Bromberg. I felt like the label turned a major corner when managers of artists like Al Stewart and Jessie Winchester contacted me to record for us. We are honored and humbled to release music from wisdom keepers of the world such as Sweet Honey in the Rock, Eric Andersen, Tom Paxton and Donovan. After your 10th anniversary release, one would assume you’d put out a 20th anniversary release, but you did a 21st anniversary compilation instead. Why? I was going to do a 20th anniversary CD, but I have a saying -- “life is about living my truth” – and I decided to live my truth by prioritizing my personal life with a relationship. It didn’t work out, but I was still glad to live my truth. I also wanted do this CD correctly by creating a snapshot of America in 2018. I approached artists such as Bruce Springsteen, Tom Morello, John Wesley Harding and Tim Robbins… and everyone said yes. For years, I’ve wanted my CDs to be like a movie with a beginning, middle and end. In this case, I could visualize starting with the Seeger recitation, to plant the seed for Bruce’s “If I Had A Hammer,” which says “I will sing out danger, I will sing out warning, I will sing about the love between our brothers and our sisters all over this land,” which is the mantra for the label – and I basically visualized how this album would begin and end. I was just amazed at the response when I approached the artists. You could’ve done just one disc in that CD of the exclusive material, but you chose to do a three-disc CD. Why? I remember somebody told me that … that if I had a one-disc CD, I’d sell more, but I wanted to paint at accurate picture of our label, which covets the wisdom keepers and their folk songs with the political aspect. For me, it’s more important to tell the whole story of the label – even when people call me crazy to put out a three-CD set in a world of streaming. It’s completely antithetical when everyone is streaming one song at a time. I just wanted to make statement with this massive CD package. One track on that CD is from Tom Morello, doing a cover of AC/DC’s “Dirty Deeds Done Dirt Cheap.” Is that the kind of track you’d bring to radio? It’s actually a parody of the song; Tom uses it to talk about U.S. foreign policy. I love Tom’s energy and passion for social justice. He was one of the main people I wanted to approach for this CD. I’ve respected him for years. I’m thinking about sending it out to radio but it has a curse word in it, which makes it problematic. You mentioned selling CDs in a streaming world. How has streaming impact on Appleseed? The music industry is changing and unless musicians fight back against Google, streaming and the like, they’ll never profit. They current payments are unsustainable for artists’ careers. That’s why I like to go opposite way, and sometimes put out a three-CD set so people get the whole picture of what we believe in, I fear for the music industry in the future if artists don’t stand up to Spotify and Google, whose users are posting illegal downloads of CDs with no consequences. I’ve had some established artists stop recording because they’re tired of getting ripped off by Google and YouTube. Is Appleseed getting involved in live tours and/or folk festivals with your artists? Yes, we’ve been approached over the years about putting on those type of things, but up to now, we’ve been focused on doing CDs. My main focus is always about putting out the music. In his Power Player interview, Epitaph Records founder and Bad Religion guitarist Brett Gurewitz, who recently put out the protest song, “The Kids Are Alt-Right,” complained that the current generation of artists aren’t writing protest songs at a perfect time to do them. You agree? Yes, but that’s what we’ve been doing since day one -- putting out protest music. The artists we represent have been on the right side of history. Johnny Clegg and Sharon Katz opposed apartheid in South Africa; Pete Seeger was one of many who music spoke of civil rights and anti-war. He’s opposed the Iraq War with “Bring Them (If You Love Your Uncle Sam)” with Billy Bragg, Ani DiFranco, Steve Earle and Anne Hills – which is most recently on the 21st anniversary compilation. Bruce Springsteen recorded the song with words that he and Pete and myself wrote and Bruce performed it on the Conan O’Brien show and did the song on tours. I find a lot of people asking why there aren’t anti-Trump songs on the CD. That’s because these songs deal with the issues that matter and will live on longer after Trump is gone – not just anti-war and U.S. foreign policy, but homelessness, gun control and drug deaths. I feel we live in a dangerous time right now, and I hope more musicians step up, jump on the bandwagon and speak out on these issues. A lot them have. We’re at a crossroads in America at this point – and the power of music can be so important. Finally, what does the future hold for you and Appleseed? I’ve always followed my heart and passion, which is to advocate social issues and social change, and do those things in music. I can’t predict what I’ll be doing years from now; but I know I will be following my heart and passion. That might lead me in any direction. I never lay out a plan. I just let my heart and passion take me where to go next. I started this label to advocate for social issues. The next chapter is whatever my heart wants to do.